The suggestion came from Iraq’s Foreign Affairs Committee, which met in Baghdad before announcing the decision to seek punishment for the new administration for its actions. Iraq’s influential religious cleric Muqtada al-Sadr has urged the government to expel all Americans. “It would be arrogance for you to freely enter Iraq and other countries while barring them entrance to your own country... and therefore you should get your nationals out,” the cleric said on his website. Yet another scathing rebuke came from the Iraqi Popular Mobilization, a grouping of Shiite paramilitary groups trained by Iran as part of a wider Shia effort to fight Islamic State [formerly ISIL/ISIL]. 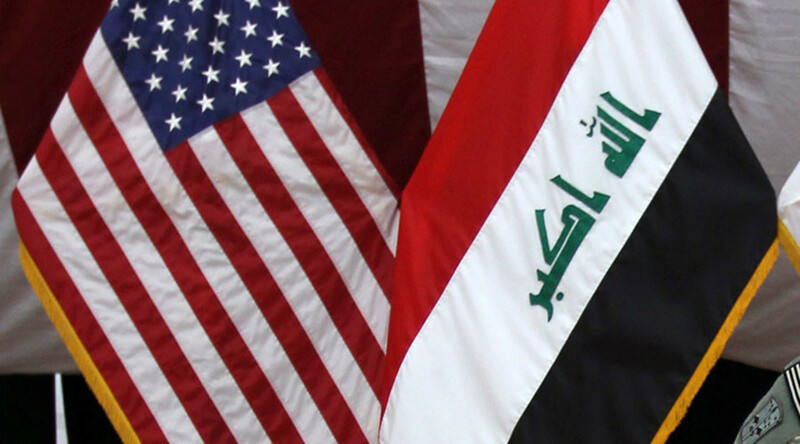 On Sunday, the alliance, which gained legitimacy with the Iraq government last year, called for US nationals to be barred entry to Iraq, and for those already in the country to be expelled, according to Reuters. No official response to President Trump’s order has been issued by the government of Iraq thus far. On Friday, President Donald Trump signed an executive order temporarily barring the citizens of seven countries with predominantly Muslim populations – Iraq, Iran, Libya, Somalia, Sudan, Yemen, and Syria – from entering the US. 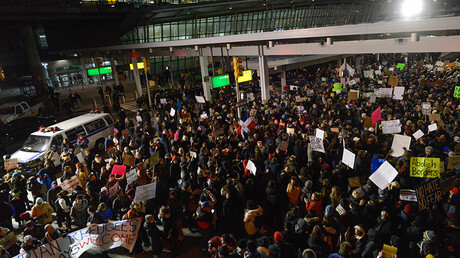 The controversial order has led to hundreds of travelers being stranded at airports across the US, and mounting public and diplomatic outrage. However, on Saturday, a federal judge blocked the presidential order by exempting arrivals from being sent back. The DHS has acknowledged the decision, but reiterated that no new arrivals from the seven countries would be accepted for the stated period of 90 days. Trump’s executive order also pertains to any new refugee admissions, which will likewise be halted for the next 120 days. Dozens of people are still stranded at US airports.